Learn, explore + play together! 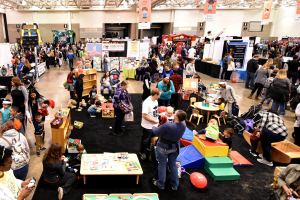 Join us March 7-8, 2020 for the annual Madison Kids Expo at the Alliant Energy Center. 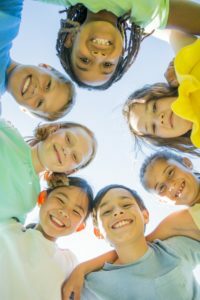 Get information and samples for everything kid-related - such as toys and games, sports and fitness, learning devices, safety products, health and nutrition, pediatricians, martial arts, dancing, day cares, schools, natural products, activity equipment, camps and much more for kids of all ages. 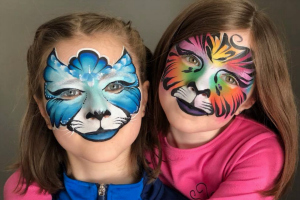 Your kids will love our Play Zones and Main Stage performances and shows! 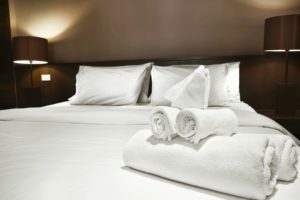 Scroll down for information from the 2019 expo. * indicates that these activities have an additional charge. 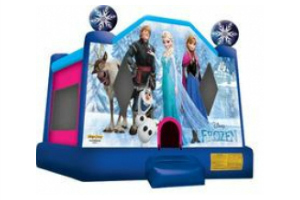 The Frozen Bounce House includes five characters that are incredibly popular with kids today – adventurous and fearless Anna, her older but mysterious sister Elsa, adventurous mountain man Kristoff, his ever loyal reindeer Sven and the goofy Olaf. Frozen inflatable is a 3D bouncy house that offers endless hours of activity. Please note that all children playing on the inflatables must have a completed waiver. You can fill it out ahead of time to save time at the expo. Just download using the link to the left, print it & bring it with you! Go Diego, Go! 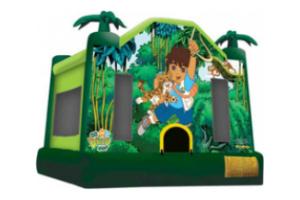 Diego is always off having fun on adventures and now with this combo bounce house rental your child can have one in their own back yard. 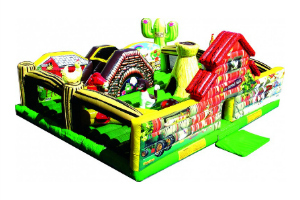 Jump and shoot hoops around the large bounce area, climb through the mini obstacle course of logs and pop-ups, and down the slide. 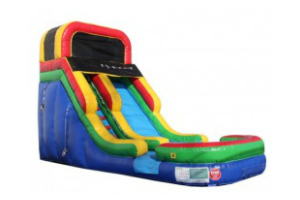 Our 16 feet Rainbow Slide is a dry slide making it perfect for any indoor event. The wet/dry slide allows riders to climb 16 feet and slide down safely. Kids climb up using a left-side climb to the "non-bouncing top" and then slide down into the splash landing area. 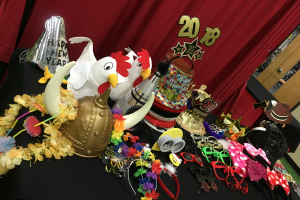 Bright and vivid colors fit into any celebration theme! 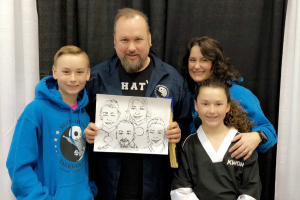 Hand-drawn, expressive portraits completed on custom paper to commemorate your family fun at the Kids Expo! 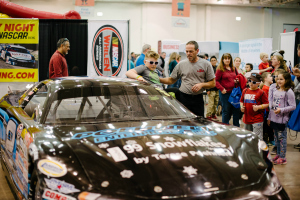 See NASCAR race cars up close and even meet some of the drivers from Madison International Speedway. The LTO (or Left Turn Only) maze is constructed on a 30'x 40' plastic tarp duct tape was used to replicate city streets. The object is to get from home base to the store without making any right hand turns and without moving in reverse. The maze and its construction is perfect for wheel chair bound participants as long as the indoor surface is wooden (gym floor) or concrete. Groups of up to 25 can fit on the same maze. Climb, swing and slide your way around this fun indoor playground, courtesy of Rainbow Play Systems of southern Wisconsin. 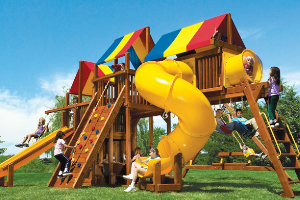 Rainbow Play Systems has been helping families make childhood memories for over 30 years. Each group takes home one fun print out of the pictures they created. 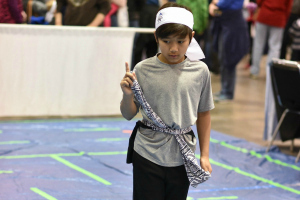 We look forward to meeting all of the energetic, fun and creative Kid Expo attenders! Town of Madison will be on-site with a fire truck, conducting tours within the vehicle. 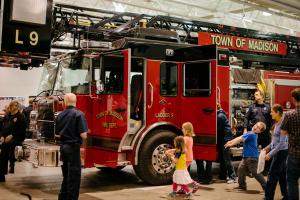 Kids can also pick up educational material about home and fire safety! 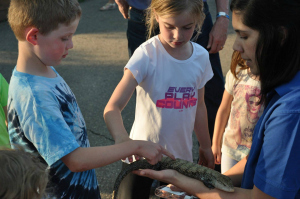 Get up close and personal with live animals from the Henry Vilas Zoo! Come and enjoy a meet and greet educational and fun program about these amazing creatures! Some of our animals may be available for guests to gently touch. The program is presented by members of the Education Department at the Henry Vilas Zoo. At the Vilas Zoo, we're committed to conservation and education. Come check out our exhibit booth while you're here! Pony rides are $6 each; petting zoo is free. Come enjoy the animals of Jo Don Farms! 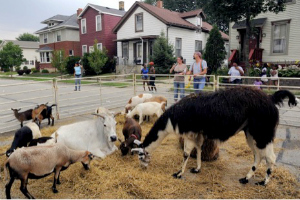 Our Petting Zoo is free to enjoy for all ages. Cups of feed will be available for purchase outside the attraction. Children ages 1-10 years of age and or under 100 lbs can enjoy a pony ride at $6.00 each. Visit the One City School booth for interactive fun specifically tailored for our younger attendees. 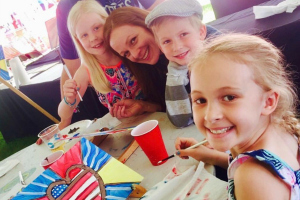 Create a masterpiece in just 15 minutes alongside your family as you paint around a silhouette of a favorite thing on an 8”x10” canvas. Stop by Booth 301 (the BRAVA booth) on Saturday afternoon, after their performance, to meet the Fairytale princesses! The Snow Queen, Island Princess, Glass Slipper Princess and Sleeping Princess will be on-site to meet and greet. 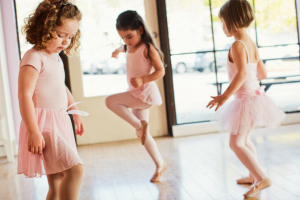 Join Tutu School Sun Prairie and experience the creative and imaginative activities involved in a typical ballet class at our school. Reach for a rainbow as we stretch our legs, blast-off like a rocket ship as we jump through the air and twirl like a swan or sugar plum fairy. Appropriate for ages 18 months to 8 years old. 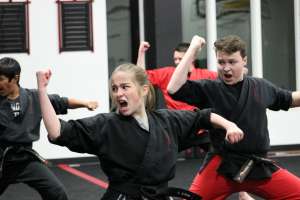 Join award-winning Kicks Unlimited as their students demonstrate a variety of martial arts techniques, from flashy movie-style moves to effective self-defense. We'll even invite audience members to participate in a short, beginner class! 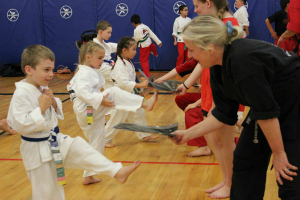 Our demo today and our karate classes are about giving children quality time where they can be kids, which includes laughing, playing, exploring and learning some really COOL things about martial arts. Calling all little Royals! 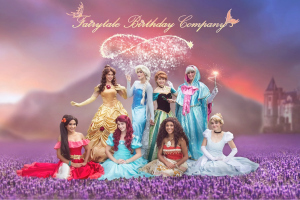 Join Fairytale Birthday Company's Princesses as they perform some of your favorite songs. This performance will be sure to delight everyone. Join Kehl School of Dance and some of our competition students for some dancing fun! 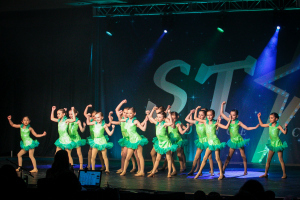 Watch jazz, hip hop, musical theatre, tap and more! After the dance performance, learn a dance up on the main stage with some Kehl dancers. Silver lining Taekwon-do teaches you to have a positive mindset to see the silver lining in every challenge life offers you. 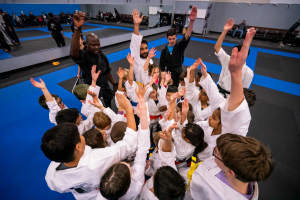 Whatever your goals are, we are dedicated to helping you develop the skills and mental strength required to achieve them because at Silver Lining Taekwon-do, we always give you our best so you can be your best. Trinity opened its doors in 1982 and quickly became one of the most recognized and progressive Irish dance schools in the world. Trinity was created on the premise of a tri-fold philosophy of teaching our students about performance, competition, and teamwork. 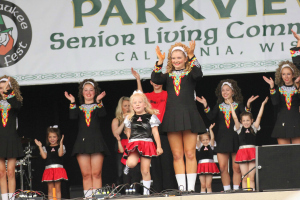 Join Madison’s own Trinity Irish Dancers for a full Academy performance showcasing the rhythmic, thunderous hard shoe dances and graceful, intricate soft shoe. 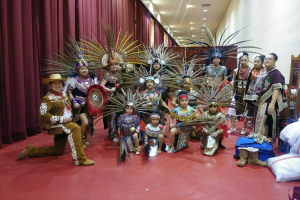 This program uses cultural dances and music of Mexico, which not only enriches this culture, but the youth and adults are exposed to a positive good amount of exercise, which keeps them mentally and physically healthy. Alliant Energy Center charges $7 (cash only) for every vehicle to park in their lot. We strongly encourage attendees to carpool or use an alternate method such as Madison Metro or a passenger cab service.